E-Commerce enabled branding website to enhance national retail distribution channels. Branding website, photography, and logo development for an Emerald Coast Realtor. Custom Website with shopping integration for a Northwest Florida Shooting Company. 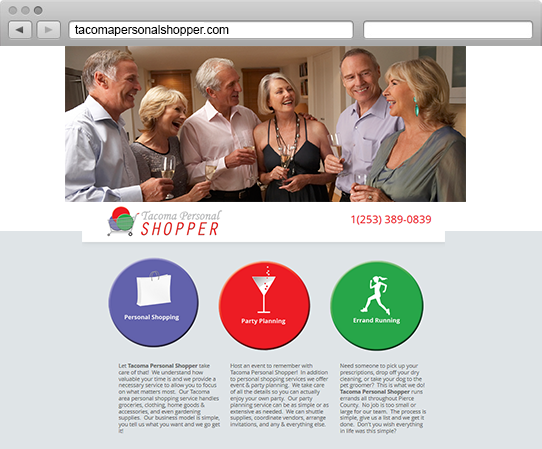 Affordable one page website for a Tacoma, Washington based personal shopper service. Affordable website design with an easy to use client interface for a Destin area photographer. Website Development, eCommerce Integration, & Logo Design for a South Walton Artist. Web Design, eCommerce Consulting, & Photography for an online boutique. Branding, logo design, and website for South Walton Real Estate Agent Jill Olivarez. Website focused on conversions for a specific product. Designed for a Destin watersport company. Custom website, SEO, and branding for a Destin residential & commercial inspector. Web design, branding, SEO, photography and content creation for a Niceville, FL Karate School. Affordable event website for a lavish luxury vehicle show on the run way of a private airport. Logo development, branding, and simple eCommerce website for a Mobile, AL based hair retailer. Lead generation website for a Destin area water sport company, one of several similar projects. Optimized website and branding for a high-end Destin area mobile automobile and aircraft detailer. Affordable eCommerce website & branding for a Fort Walton Beach human hair retailer and installer. Branding, logo design, website, and social marketing for an international snack blog. Web development, logo design, content creation, and concept direction for a fantasy football site. Lead generation website including SEO and Google PPC for a Destin jet ski & water sport company. Stand alone product website for a multi-product beach rental company including SEO. HDR photography and lead generating website for a luxury real estate agent in South Walton.